This outfit consists of a body conscious strapless sheath dress, gloves and necklace. The sheath has a band and bow detail at the bodice. I can do it in a different colors. 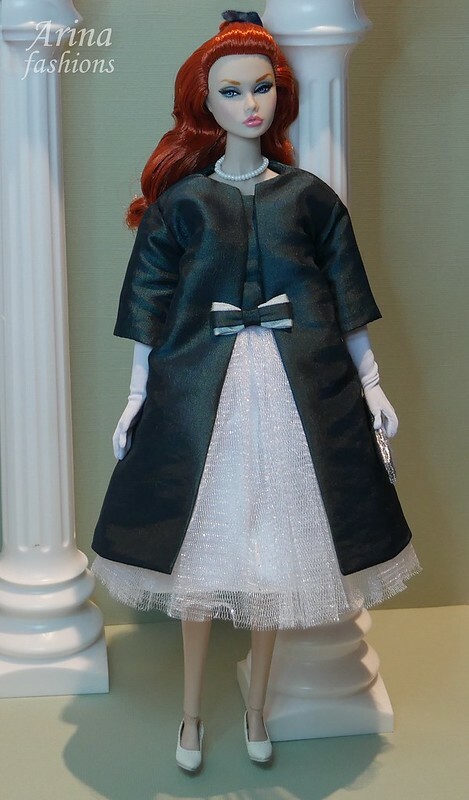 This fashion fits most 1/6 scale dolls. Please let me know which size you want. All my fashions are nicely packed in a gift box. By Custom order only. Please contact me if you are interested in purchasing this fashion. First Lady Jacqueline Kennedy Attends the Opening of the Tutankhamun Exhibit 3 November 1961. 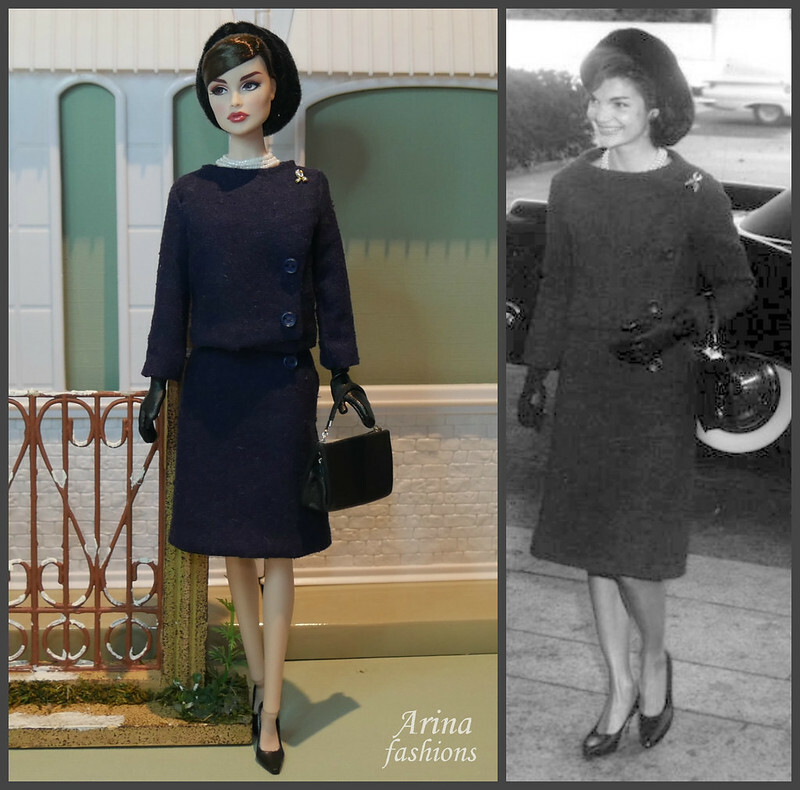 This fashion set includes the suit with the pin, hat, gloves, necklace, purse and shoes. The set is made from navy blue raw silk fabric and fully lined. All my fashions are nicely packed in a gift box. By Custom order. 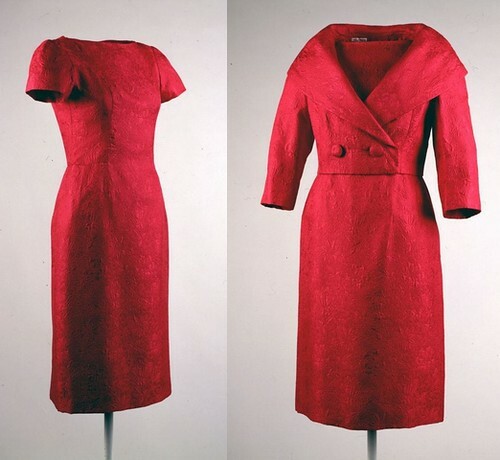 This red Dior suit Jacqueline Kennedy wore for the televised tour of the White House she gave on Valentine’s Day in 1962. This fashion set includes the suit, necklace and shoes. The set is made from brick red raw silk fabric and fully lined. 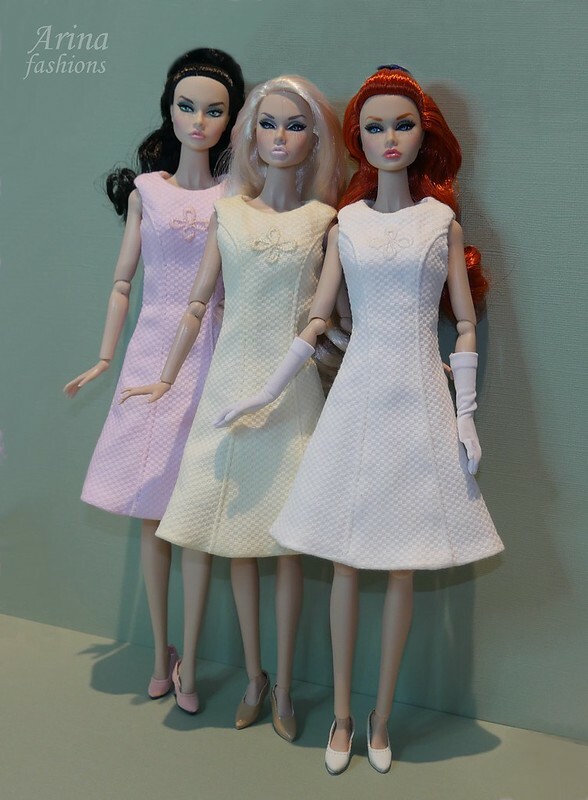 These dresses are fits Silkstone Barbie, Poppy Parker, FR2 and it may fit other dolls. 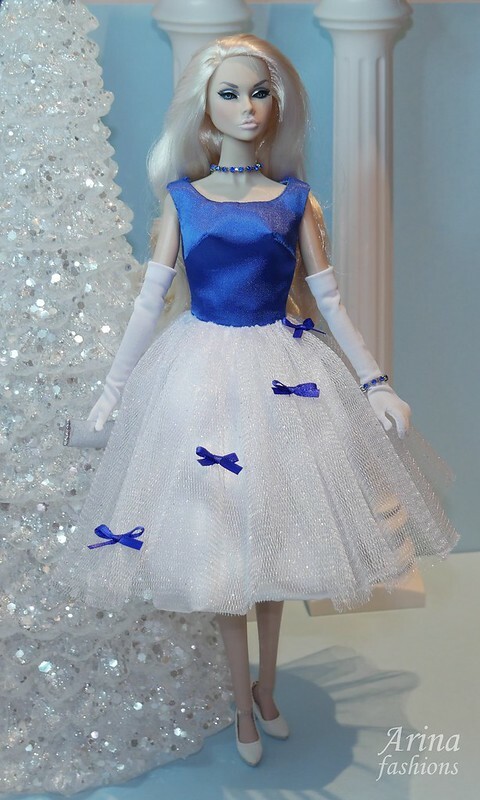 This outfit fits Silkstone Barbie, Poppy Parker, FR2 and it may fit other dolls. The off the shoulder bodice is made from dark green taffeta. The skirt is given volume from white satin and 2 layers of white tulle. Those outfits are all ready to go and you would get them before Christmas. If you want one that has already been sold, just contact me and I will do my best to make it similar to the one pictured. 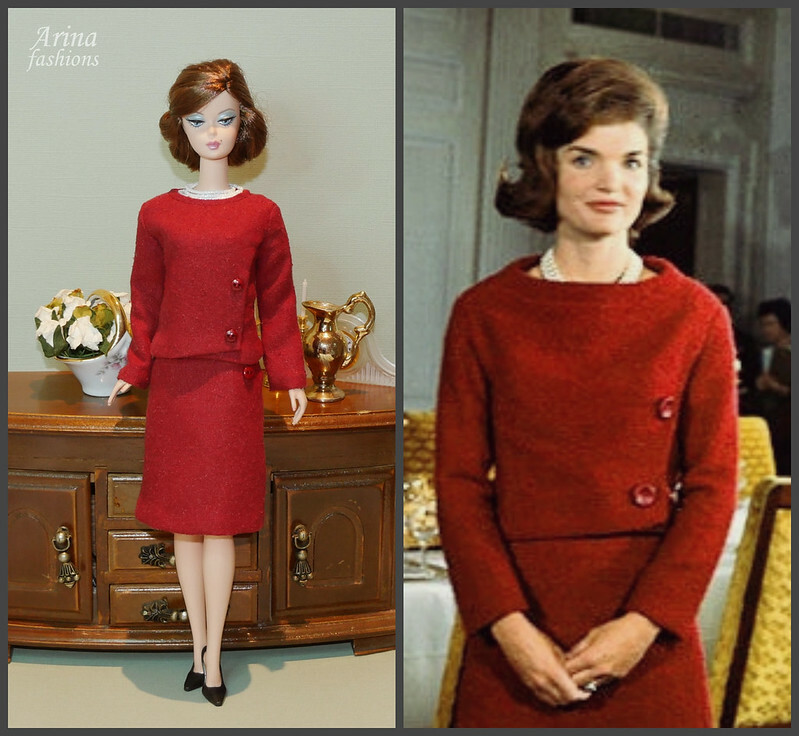 This fashion was designed to fit Poppy Parker and Silkstone Barbie dolls but it’s good to Classic Fashion Royalty dolls too. 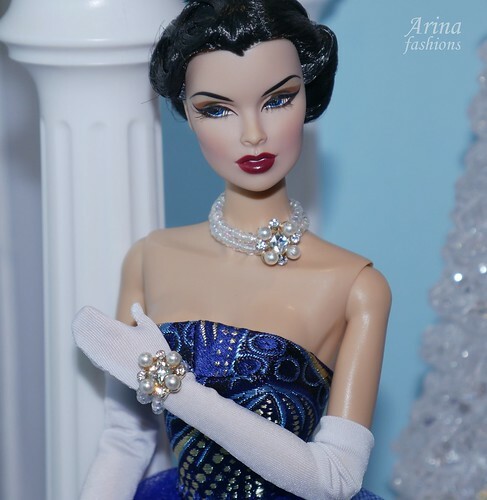 This outfit includes the dress, white gloves, gold rhinestone necklace and bracelet. The fashion includes the dress, purse, gloves, necklace and bracelet. The off the shoulder bodice is made from blue satin. The skirt is given volume from white satin and 2 layers of white tulle. 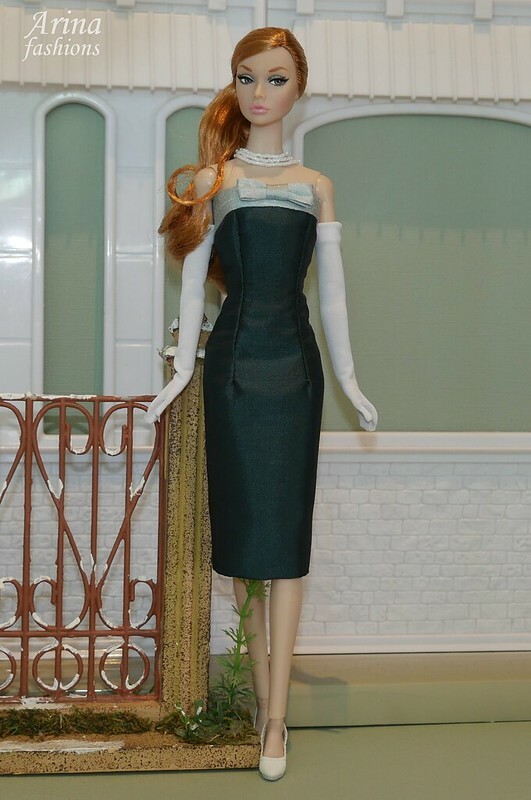 This dress fits Silkstone Barbie, Poppy Parker, Victoire Roux and it may fit other dolls. 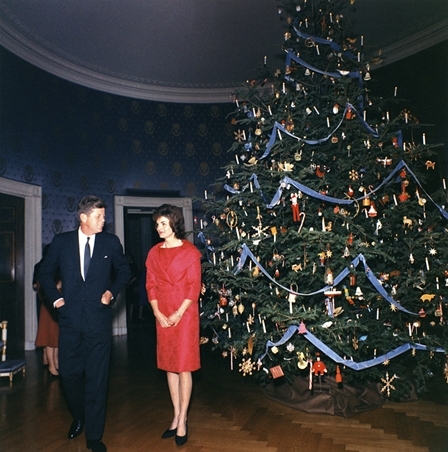 This dress was worn by Jacqueline Kennedy to staff 1961 Christmas reception at the White House. 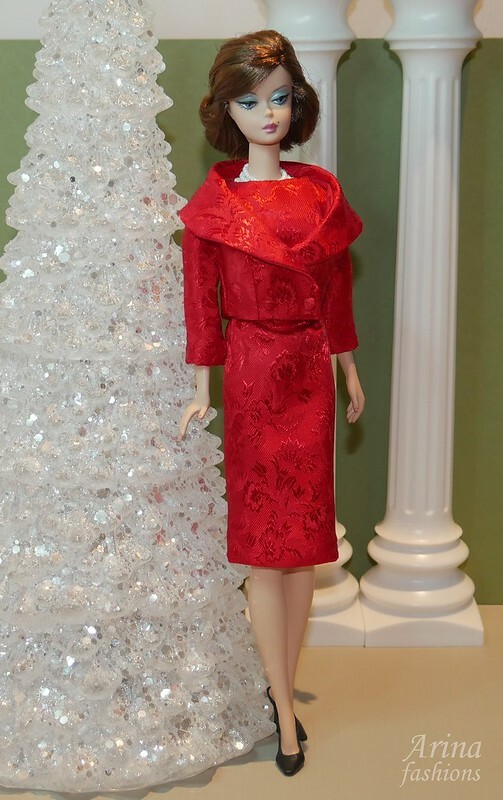 This fashion set includes the dress, jacket, necklace and shoes. The jacket and dress are made from red jacquard and fully lined.